In a magical world, the path of self-discovery often proves fatal. Newly initiated wizardess Aura Lockhaven has a strange power within her that enables her to perform miracles. 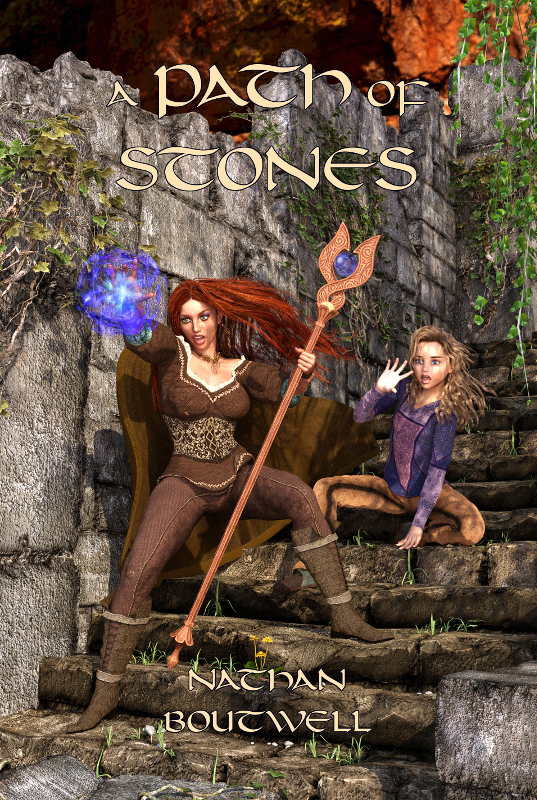 The path of the enchantress offers her hope to harness that power before it kills her. To discover more, she visits the Valley of the Mystic Moon, the home of the Order of Enchanters. The Order is not so enchanting, however. A monster wants Aura's soul. A vengeful ghost wants her head. A renegade lawman wants both. A mad noblewoman believes Aura is the fulfillment of a prophecy. Finally, there is something about her mother's maiden name that attracts the wrong kind of attention. Aura may not survive walking A Path of Stones. 160,000 words. 460 pages for the print editions. Copyright Nathan Boutwell and NJB Media, 2018.